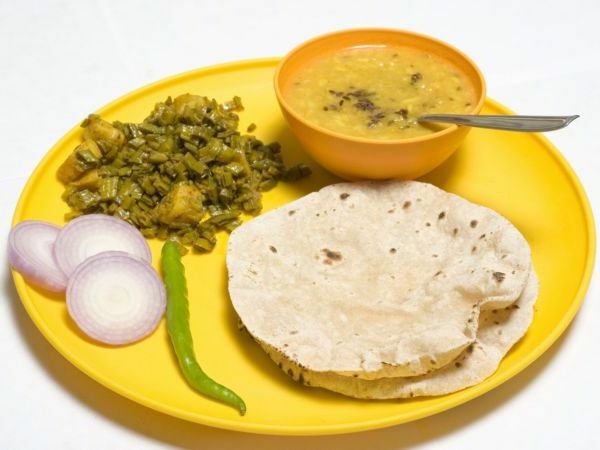 Wheat Flour – 2 cups,Fresh Methi (fenugreek leaves) , washed, patted dried and chopped – 1 cup (Fresh Fenugreek or Methi can also be substituted with Kasuri Methi or Dried Methi),Salt – to taste,Dry raw mango powder (Aamchoor) – 1 tsp,Chilli Powder – ½ tsp,Asafoetida or Hing – a pinch,Cummin seeds – 1 tsp,Cooking Oil - 6 tbsp. Take the wheat flour, methi leaves, 1 ½ tbsp of cooking oil, cumin seeds, amchoor, red chilli powders and a pinch of salt in a mixing bowl.Knead the mixture by adding little by little water till it forms to a medium-soft, dough.Keep aside for 15 to 20 minutes to mature.Make small balls ( table tennis ball size) and roll between your hands till they are smooth and crack free balls.Take a rolling board. Lightly dust it with dry wheat flour and roll a ball into round shape of around 8 to 10 cm diameter. Dip a table spoon in remaining cooking oil and apply oil on the rolled surface gently with the back of the spoon surface. Fold the rolled surface into half, again apply the oil on the exposed half surface and fold again into quarter. Lift the rolled quarter into your palm and gently make it into a smooth ball again. Keep aside. Repeat with the remaining balls.Now, take one of the balls and roll that into a round shape by dusting dry flour on the rolling board. Roll till it is around 20 to 25 cm diameter and around 3 – 4 mm thick. Keep aside on the clean surface dusted lightly with dry flour. 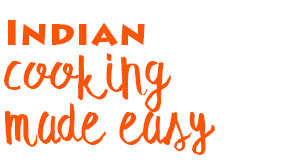 Roll all balls.Take a tawa – Indian griddle, lightly apply cooking oil on the surface and when the surface is hot, place on of the rolled Paranthas on the hot surface. 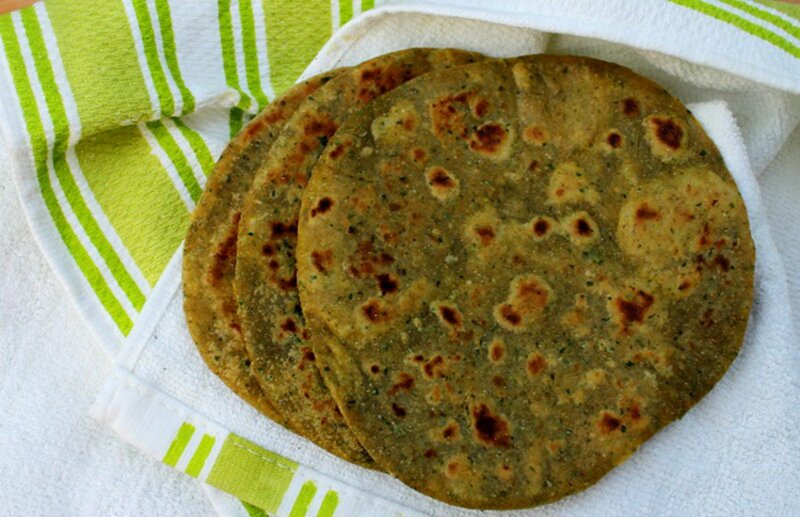 Allow it to cook till you see small bubbles on the surface, turn/flip the Parantha to cook the other side. It will soon puff up into a ball. At this stage apply and spread oil on the exposed surface, turn/flip around and again apply and spread oil on the exposed surface. 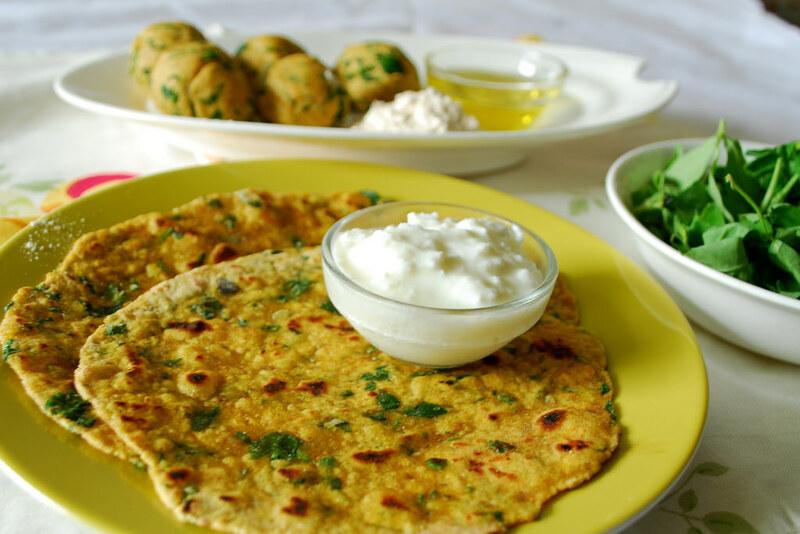 Cook gently till both sides are crisp and attain golden color/spots.Serve Paranthas with yoghurt and pickles.For best results cook Paranthas on the slow-medium flame.